Meet Leanne Lauricella, of Mansfield Township, New Jersey. 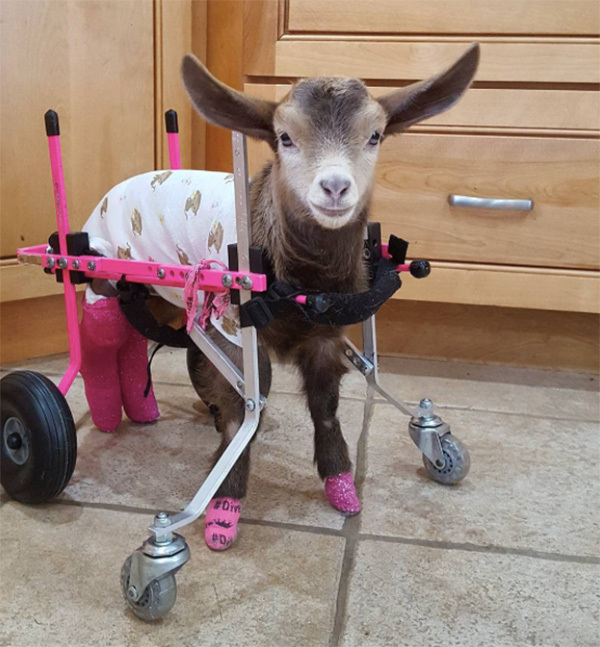 She decided to give up her City job to take care of disabled baby Goats. Before, Leanne loved shopping for clothes and now she admits she can't actually remember the last time she thought about wanting new clothes. 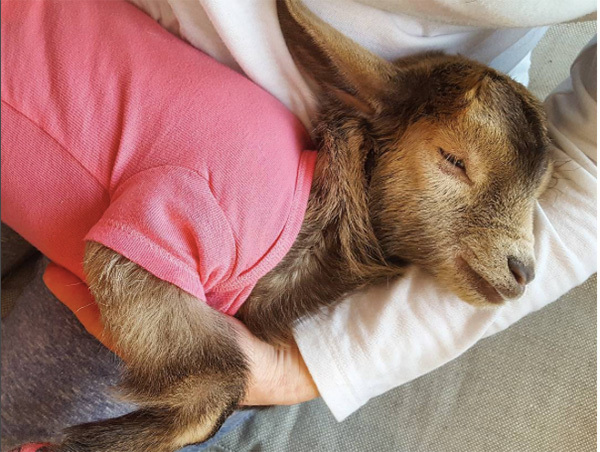 She explains when you work with Goats they will grab a hold of anything and chew it, so pretty much most of her working clothes have holes in but she wouldn't change it for the world. 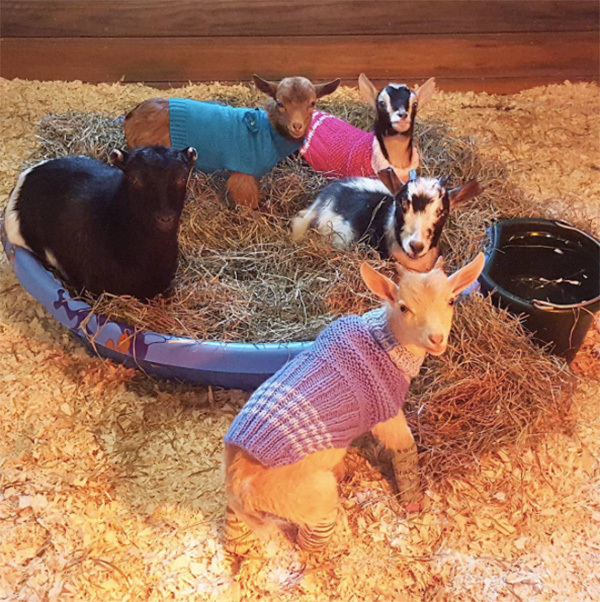 You can follow the goats on Instagram and check out their adventures @goatsofanarchy or visit Goats Of Anarchy where you can find more information and even view their Amazon Wish List. Leanne decided to take action and make a huge change, she quit her job (with some negative feedback of people calling her foolish for what she had done) but Leanne saw past the negative comments and held her head high. On her very first day of the new job, Instagram featured one of her photos on their homepage and that night she gained an impressive 30,000 followers. Leanne took this as a sign that her decision was meant to be. 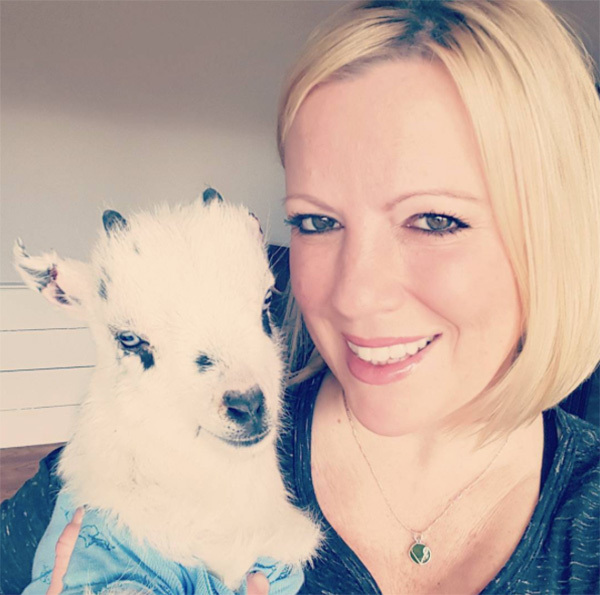 Leanne's obsession with Goats all started when she visited a farm and she fell in love with the animals so much she adopted a pair of her own Goats in 2014.